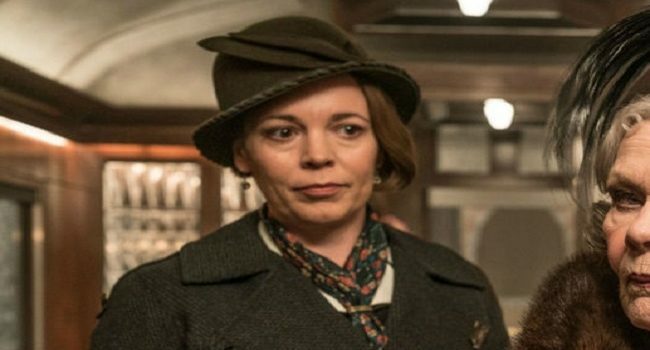 In Murder on the Orient Express, Hildegarde Schmidt (Olivia Coleman) is the loyal maid to Princess Dragomiroff, and the former cook for the Armstrong household. Her travels on the Orient Express are business, so her wardrobe is plain and she wears few accessories. Mary Debenham (Daisy Ridley) is an Englishwoman aboard the Orient Express. She was a governess in the Armstrong household, as well as Colonel Armstrong’s lover, so she is one of Hercule Poirot’s main suspects. Like her calm and collected demeanor, her clothing is modest and without flash. In Murder on the Orient Express, Hector MacQueen (Josh Gad) is the humble and likeable personal assistant of the fraudulent art dealer, Ratchett. Compared to the flashy and extravagant fashion of Ratchett, MacQueen’s wardrobe is understated and drab, with a hint of 1930’s gangster. In the 2017 adaptation of Murder on the Orient Express, Count Andrenyi (Sergei Polunin) is the husband of Countess Andrenyi, who travels in luxury on a Hungarian diplomatic passport. His wardrobe is extravagant and upscale, compared to the other passengers, and he’s fiercely protective of his wife. In the 2017 adaptation of Murder on the Orient Express, Gerhard Hardman (Willem Dafoe) is a stern German professor who is suspicious of his fellow passengers aboard the Orient Express. In the 2017 adaptation of Murder on the Orient Express, Countess Andrenyi (Lucy Boynton) is an elegant, wealthy dancer aboard the Orient Express. She takes barbital to sleep during the day, so she’s frequently awake at night. Because of this, her clothing is a mix of elegant day fashion and leisure or sleepwear. In the 2017 adaptation of Murder on the Orient Express, Mrs. Hubbard (Michelle Pfeiffer) is an educated, outspoken American widow on a tour of Europe. Her clothing is eclectic and reflects her loud, ostentatious personality. In the 2017 adaptation of Murder on the Orient Express, Ratchett (Johnny Depp) is a wealthy American criminal who fears for his life upon boarding the train. Because he deals in art forgeries, the costume designer chose clothing that would be elegant and upscale, but mismatched and out of place in Europe at the time. In the 2017 adaptation of Murder on the Orient Express, Pierre Michel (Marwan Kenzari) is the diligent train conductor whose sole concern is keeping his passengers safe. Though he helps Hercule Poirot with his investigation, he becomes increasingly concerned with his own skills and thinks that Poirot is questioning his capability. In the 2017 adaptation of Murder on the Orient Express, Judi Dench plays Princess Natalia Dragomiroff, an aristocratic Russian princess. Though the character is famously ugly, she is decked out in lavish and luxurious clothing and accessories.